Back is the future: Mössner nuclear technology dismantlement. The most demanding requirements of a saw system. The dismantlement of nuclear facilities is a complex and demanding task for which safety is particularly important. 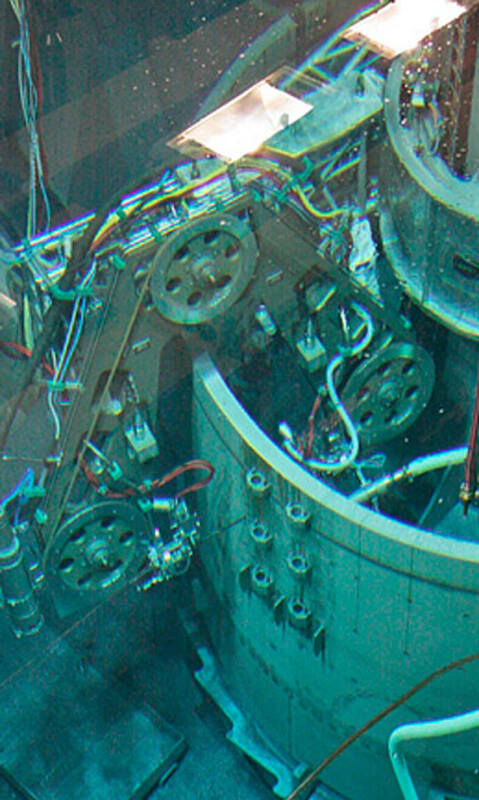 Using the band saw developed and constructed by Mössner, the fittings of the reactor pressure vessel in Stade are currently being disassembled. The work is carried out completely under water.